When you first meet Kavon Cortez-Jones, you will be inspired by his optimism and avidity for Milwaukee. Also known as K.J., he is a poet, spoken word performer and to some, a mentor who is immersed in Milwaukee's art community. His dedication to writing is remarkable to say the least. “I don’t think I’ve missed a day of writing in the past 10 years,” says Kavon proudly before mentioning that he has filled 65 composition books. But his words don't stop at the end of those pages, rather he makes a point to influence and teach others what writing has taught him. Through performances, collaboration with various art organizations, and the written words in his book Club Noir, Kavon is very much a part of the city's pulse. Currently 23 years old, Kavon grew up in the Harambee neighborhood of Milwaukee. Everything changed for him when Kwabena Antoine Nixon and Muhibb Dyer came to his elementary school to perform poetry for the students, as part of their "I Will Not Die Young" campaign. "They wowed me with their performance and that was the spark," explains Kavon. Ever since that day, he was inspired to write and become a poet but did not know what to write about until he met Paul Moga, an educator at Riverside High School who opened up new possibilities for him. That's when Kavon discovered performance and slam poetry, focusing his efforts on that medium. K.J. 's early life in Harambee was challenging but writing carried him through and allowed him to express himself in the only way he knew how. Now he tries to share his love for writing with others in the community. After high school, Kavon started performing his poetry at open mics around the city such as Linneman's and Miramar Theater, and now runs an open mic called "Express Yourself Milwaukee," which happens on the second Friday of the month at 1300 West Fond du Lac Avenue in collaboration with the Express Yourself Milwaukee youth organization. 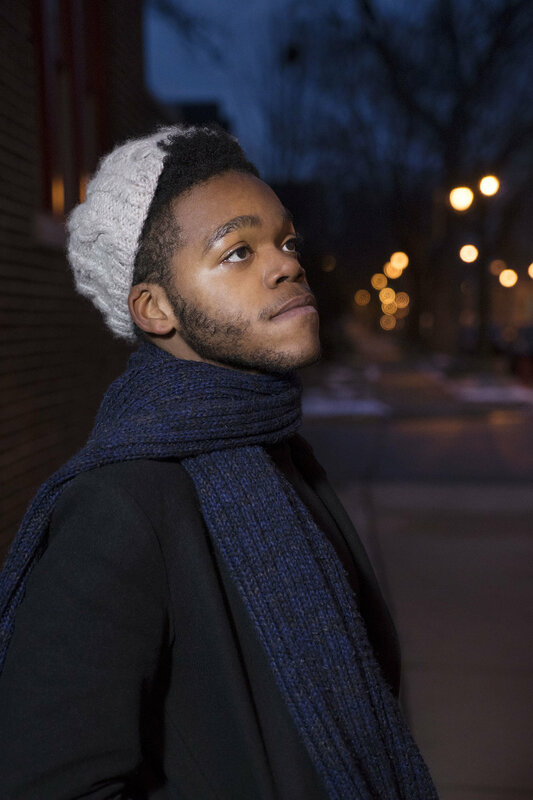 After gaining recognition, he began receiving commissions to perform at places like the Kimpton Hotel and to run poetry workshops for students at Whitefish Bay Middle School and Riverside High School. "It’s beneficial for folks in Milwaukee to learn poetry because it’s so subjective. All you need is a notebook and a pen, and you can just create your life all over again. You can tell your story," states Kavon. He is also an intern at TRUE Skool, an organization where youth come to express themselves through hip-hop and the creative arts as a means to educate themselves in social justice leadership and entrepreneurship. When Kavon teaches workshops, he has the kids "splash the page" or simply write down whatever is in their minds for 15 minutes, helping them to understand the self-discipline of writing. 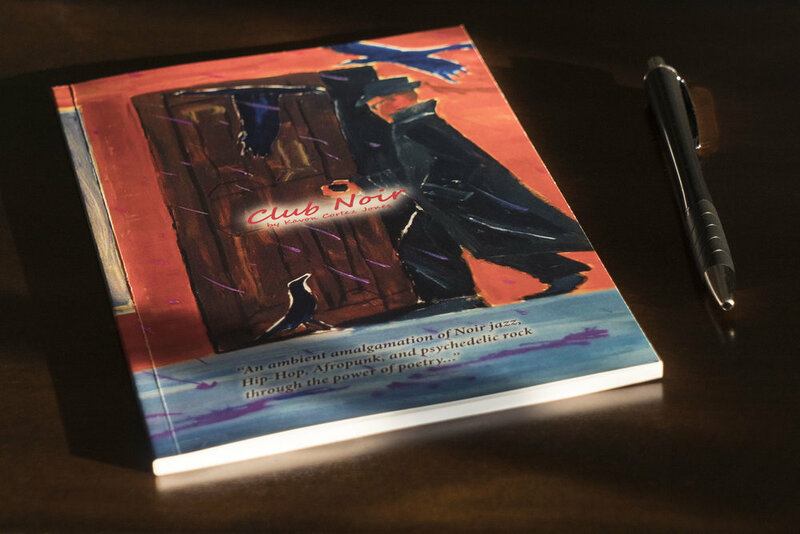 Kavon's proudest achievement is his book Club Noir which showcases his writings from ages 18 to 22 and acts as his "coming of age story," as he puts it. "I realized that poems kind of spilled out of me cuz I started writing about what I wanted to write about... That book is a dream come true." As explained in the book's introduction, Club Noir is Kavon's imaginary utopia; a cafe by day and club by night, located on Doctor M.L.K. Drive that welcomes all people, specifically catering to the black community and is a safe haven in the midst of our complicated world. "Every city civilian from oldies, youngins to passionate visual artists and writers garrulously make the place come to life," writes Kavon in his vibrant introduction. Dive into his book to feel the essence of Milwaukee and the nostalgia of his youth. If you want to have a genuine, engaging conversation, reach out to Kavon on Facebook (search Kavon Cortez-Jones) and he will most likely offer to meet you at one of the many coffee shops around the city where he finds his muse. Listen to Kavon perform two of his poems by clicking the audio links below. The first is called "Paris of the Midwest," written when he was 18 years old and is featured in his book Club Noir. The second poem is called "A Love Letter to Milwaukee," written in 2017 at the age of 23.